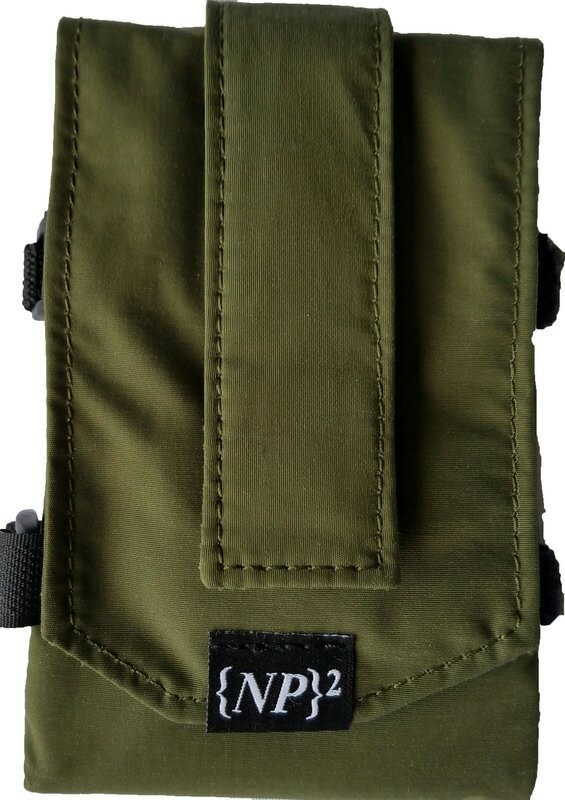 These Multifunctional pouches, are durable and made of waterproof fabric and heavy duty Velcro strapping. This strapping allows it to easily attach to belts, waistbands, loops, handle bars etc. 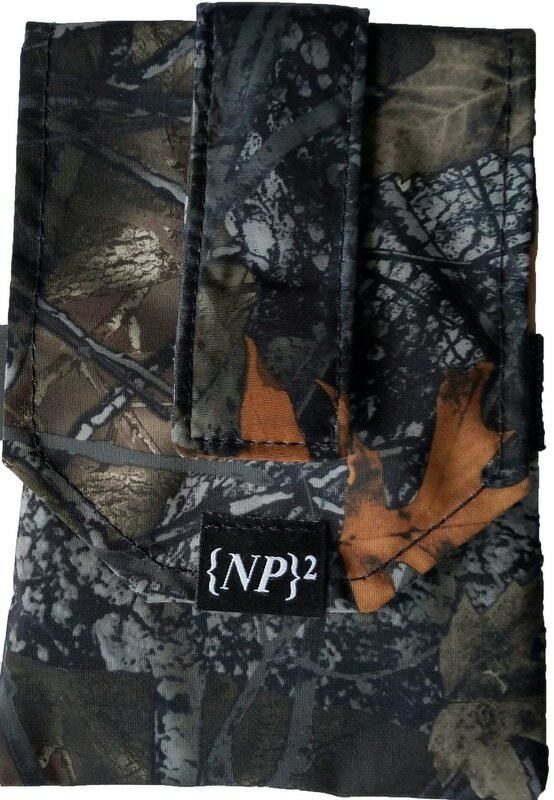 The No Pocket is designed to securely hold devices (smartphone, work supplies, camera lens, insulin pump, Epi pen, sunglasses, water bottle, binoculars, field guides etc. ), as well as provide easy access while on the go …..walking, hiking, visiting theme parks, hunting, traveling, at work, in the garden or just around the house. 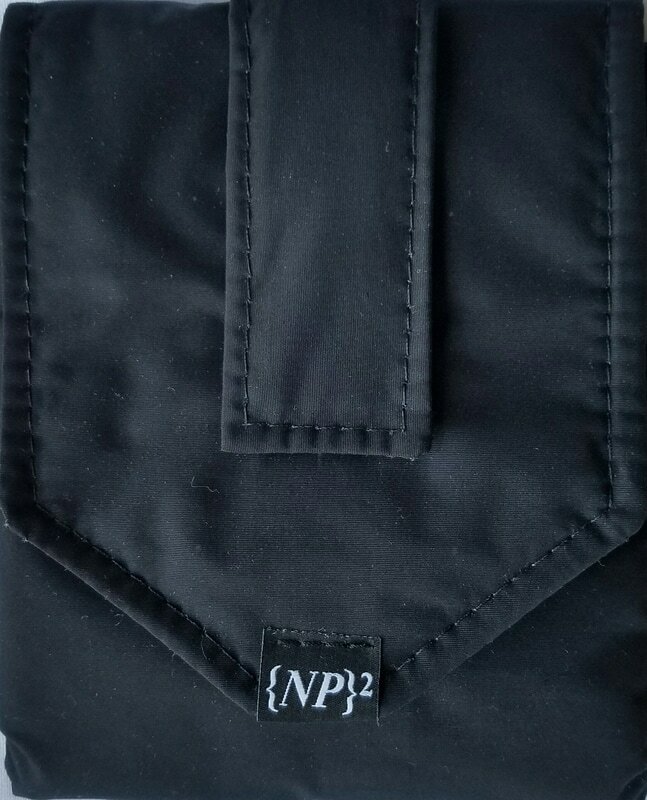 In addition to the Velcro strapping, the No Pocket also comes with a removable clip that allows the No Pocket pouch to be worn directly on a waistband. Adjustable Velcro straps that adjust for size and security. Constructed of Taslan, a water-proof, durable fabric for protection. *Please contact us for personalization pricing and ordering. Small or large orders accepted. 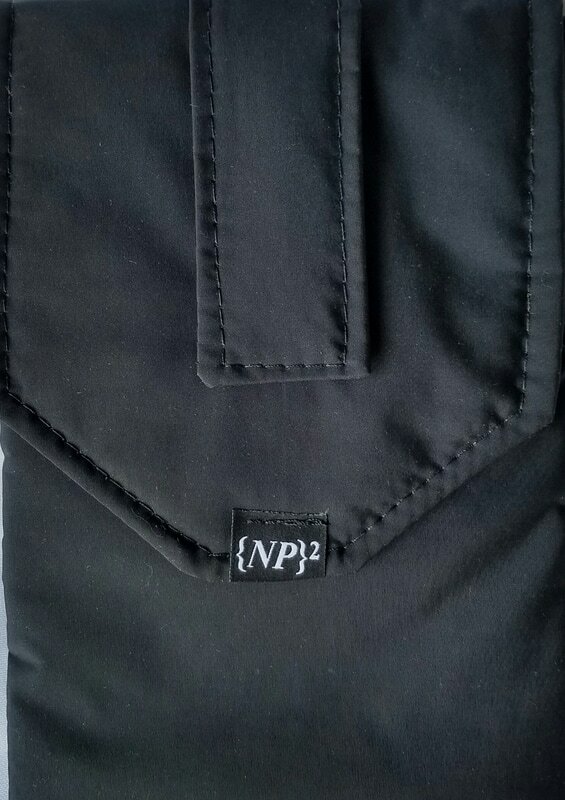 "NP Clip" is included with each No Pocket. It allows attachment of No Pocket directly to waistband without the use of a belt, loop or hook. One size fits all NP sizes. *To place an order, click here.